Over the last four years, we've seen hundreds of companies that promise to improve operations, save money, retain customers, or get more customers in the door. There are only a fraction of them that deliver on the promise. We've put together some of the best. Today, back-of-house tasks are an ordeal. Ordering is manual. Inventory is done through spreadsheets. Invoicing and accounting are a never-ending paper trail. But it doesn't have to be this way. The Orderly app is a modern solution with easy-to-use software for paperless invoicing, automated accounting, painless inventory and online ordering. Restaurants can throw away the boxes of invoices, put their accounting on autopilot, manage inventory, and order supplies... all from the palm of their hand. Orderly gives you back time and money in an app that pays for itself... so you can get back to the hospitality business. Gather is re-imagining the way private events are planned, managed and executed, empowering thousands of restaurants and venues across the U.S. to successfully grow their events business. The cloud-based platform helps teams streamline their event sales and management workflow, from initial inquiry through day-of execution, simplifying event planning for mid-market venues and their customers. They have a great blog post on venue management to get you started. Rockbot is a smart music solution, fully licensed for business. Their solution offers you full control of your soundtrack through an online dashboard and a better experience for your guests, with the option to let them engage with the music right from their phones. Make sure to read their blog post on clever bar promotions. 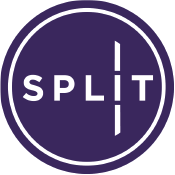 Split is a point-of-sale integration that helps restaurants increase revenue and enhance the dining experience for every guest by connecting directly to their mobile device. With Split your restaurant can seamlessly accept mobile payments and mobile ordering while deploying target marketing campaigns, receiving real-time reviews, and tracking the status and quality of your staff making it easy to stay competitive, grow profitably, and build an endless relationship with your customer. Check out their insightful post on connecting with other businesses in your neighborhood. VeriSolutions offers an integrated software platform that communicates with a self-healing mesh network of sensors to prevent inventory loss, optimize staff efficiency, and improve customer safety. Their VeriTemp solution is automated temperature monitoring made easy. They have an email and text notification system if coolers are out of compliance to prevent inventory loss and ensure customer safety. VeriTrack is automated employee timecard monitoring and on-demand report generation tools for employee timecards. Yelp Reservations is a free tool that allows businesses in the restaurant and nightlife categories to start taking online reservations in minutes. Business owners can set up the free Yelp Reservations capability through their Yelp Business account and start filling tables with the millions of people that come to Yelp looking for a great business to try. Consumers can book straight from the Yelp business listing on mobile or desktop and get a text message reminder, as well as the option to cancel or change a reservation by text. Upserve puts everything restaurateurs need to know in one place, providing real-time guidance to unlock the power of their menu, workforce and guest habits. One of the largest and fastest-growing companies in the restaurant technology space, over 7,000 restaurants use Upserve to manage more than 20 million meals per month. More than 2% of all U.S. full-service restaurant sales run on Upserve Payments, which processes over eight billion dollars in annual volume. Upserve recently partnered with Square Capital to provide access to funding to over 7,000 restaurants. ShiftNote is an online employee scheduling software and manager's logbook used for all industries. They replace messy paper and files with an easy to use web based shift management program that will help you better manage your workforce. Take a look at their recent blog post on training and employee scheduling. Waitlist Me replaces buzzers and expensive alert and paging systems with a SMS service that is easy and free. Send free text messages to guest mobile phones for your restaurant wait list alerts. They recently added a kiosk mode for self check-ins so your customers can add themselves to the wait list. We were in the booth next to Waitlist.me back in 2013 at the National Restaurant Association show. They are some great folks. We highly recommend them. Want a 10th service to top it off? Try TalkToTheManager.